What is Peak Oil? And Why Should I Care? Make the coloring book that was developed for the 10/10/10 event “Time for an Oil Change — Green Activities for Parents and Kids”! “Short-side stapling”, or “Flip over”: choose a setting that ensures that both sides of the printed sheet will be oriented similarly, with the same long edge being upwardmost. Once you print the sheet, cut it lengthwise to separate the top half from the bottom half. Flip over the bottom half so that the dinosaurs are face up. Stack the top half-sheet on top of the bottom half-sheet; the dinosaurs will now be covered. Fold the two half-sheets (together) with a vertical crease down the middle, so that the cover (“What is Peak Oil?”) winds up on the front of the folded stack. Staple at the crease (you’ll need a stapler with a long reach). Now you can flip through the eight pages! If you don’t have a printer that can handle two-sided printing on such large paper, and you can’t find a friend or a copy shop to help you, you’ll be forced to print a small version on letter size paper and the margins won’t come out right. Oh well, you might still have fun reading this tiny illustrated book! Get ready for 10/10/10! Transition Palo Alto has partnered with 350.org for this worldwide day of action to spread the word about peak oil and climate change, and all the ways you can cut your carbon emissions. We’re planning a big day of activities for kids, parents and all adults, including skills you may have forgotten or never learned, but which your grandparents likely knew. We’ll be building an end-to-cheap-oil tower. 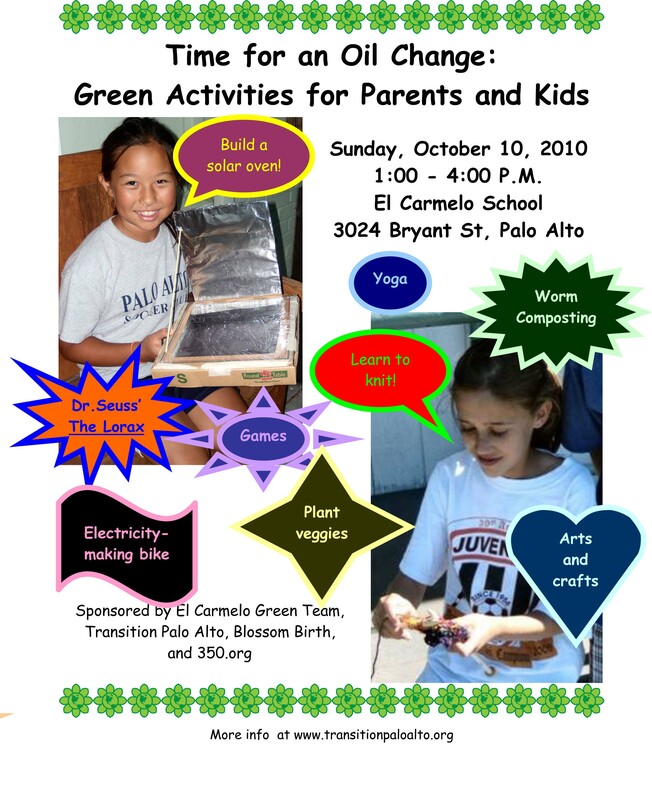 Activities include building a solar oven, knitting, creating arts and crafts, and many more (additional info here). See a slide show on reducing your carbon footprint by one of Al Gore’s “Inconvenient Thirty”, Axel Clavier. Pledge to reduce your carbon and get your passport to a greener Palo Alto! 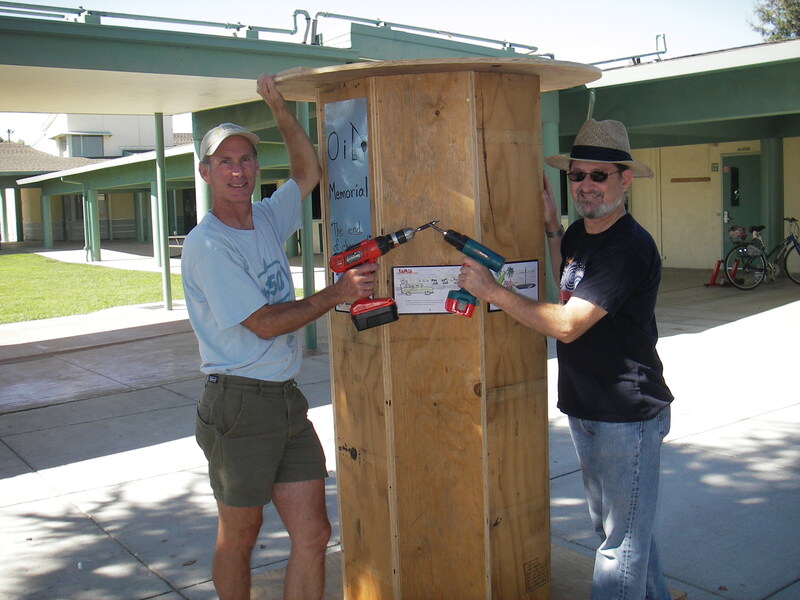 To sign up or to help out, go to http://www.350.org/node/17534 and click on “RSVP”.